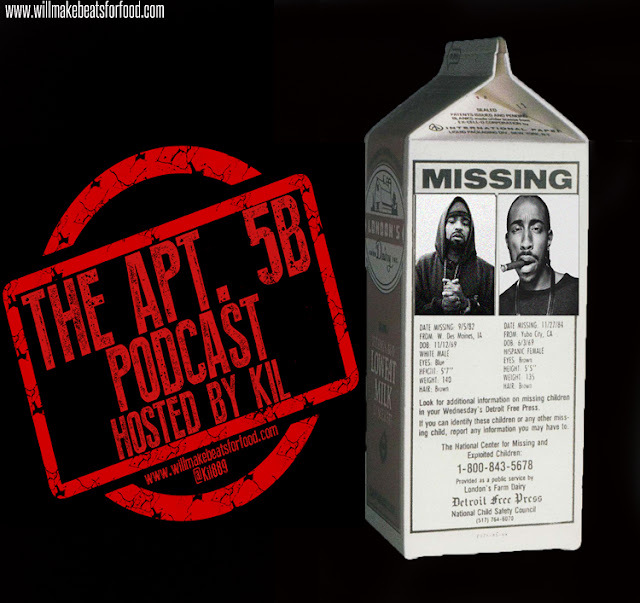 For the newest ep of my podcast #Apt5B I've got a full house with Tone, DJ Wreck 1, Vegas, Jake, Jas & Nick chopping it up about MC's & singers that are dope as hell for a hot 16, one or two songs or a hook but can't make an all around dope album. Now don't get it twisted, we're not saying any of these MC's are wack by any means. In fact they're all dope but for some reason or another they've never been able to make an all around dope album and we dive into each one with out own theories as to why that is. We're also comparing battle rappers to street ball players, why Rakim gets a pass for being a monotone MC and no one else does and towards the end I break down why more heads need to start supporting up and coming MC's & singer's music, blogs, podcast, etc. that reflect the culture IF we want the culture to continue to grow! Plus check out the newest segment of the show where from time to time I'll be shouting out a dope book for my bookworms out there! Just ANOTHER dope ep ya'll and don't forget to subscribe to our You Tube Channel!